Day 4: Girl, You’d Better Get Dressed! This largely unedited free-write is linking up with the annual Write 31 Days Challenge. // indicates the start and stop of five minutes. The prompt word for today is WARDROBE. Go! You’ve heard it said that a mom wears many “hats.” I’m gonna go a step further than that. I say we have full-blown outfits that match each hat! We’ve got the BUSY MOM. You know, the mom who never says “no” to anyone. She volunteers at school, and she coaches soccer. She has coffee with friends, and she sings in the choir. She babysits the neighbour’s dog and serves down at the soup kitchen. She’s always busy, busy, busy. Then there’s the VICTIM MOM. Been there, done that. Nothing’s working out. Kids aren’t behaving. Husband isn’t paying attention. I don’t wanna cook. I don’t wanna go out. Nobody understands. I’m all alone. Blah blah blah. Yuck. Or how about the HOME BUSINESS MOM. She spends all of her energy and passion on her clients. Phone calls, emails, business appointments. Kids just need to sort themselves out and not need her right now. After all, “I’m trying to make money here. Can’t you just be quiet for a while?” Kids and husband get the leftovers, don’t they? Or perhaps it’s not money that’s calling, but rather ministry… that would be the SAINT MOM. She’s the woman who has so much passion for God and compassion for people that she is forever giving church and ministry opportunities the number one spot in her heart and time. Once again, kids must just tag along and be happy to share their mom with the world. Then there’s my personal favourite, the MARTHA STEWART MOM (in times past, she was also called the “Suzie Homemaker” Mom). You’ll know if you are one because Pinterest will be your ‘Bible’ every day. But I get it… this one feeeeels good cuz the house looks amazing, and her friends compliment her on the stunning food arrangements, and pillow choices on the sofa. I am totally a ‘nester,’ and I LOVE making my nest beautiful. Which brings me to another sensitive wardrobe choice… the SOCIAL MEDIA MOM. Ouch! She’s the one who is completely connected and disconnected at the same time. She has 1000 followers on Instagram, but her kids are following Netflix. She’s participating in 30 cyber-conversations, but her kids are aching for attention. (My friend, your phone is not gonna satisfy your lonely heart when the kids finally leave the house. It’s a poor substitute for REAL RELATIONSHIPS. Do you feel sufficiently convicted? I do. So many options. So many outfits. We can choose any of them! The PROVERBS 31 MOM is the best choice! She’s the woman who walks closely with God and wisely nurtures her relationship with Him. She wears kindness and love in everything she says and does. The noise and distractions that call for her attention don’t move her one bit. She is attentive to the needs of her family and obeys the voice of the Father when He calls for action. YES, PLEASE! I want all of it! 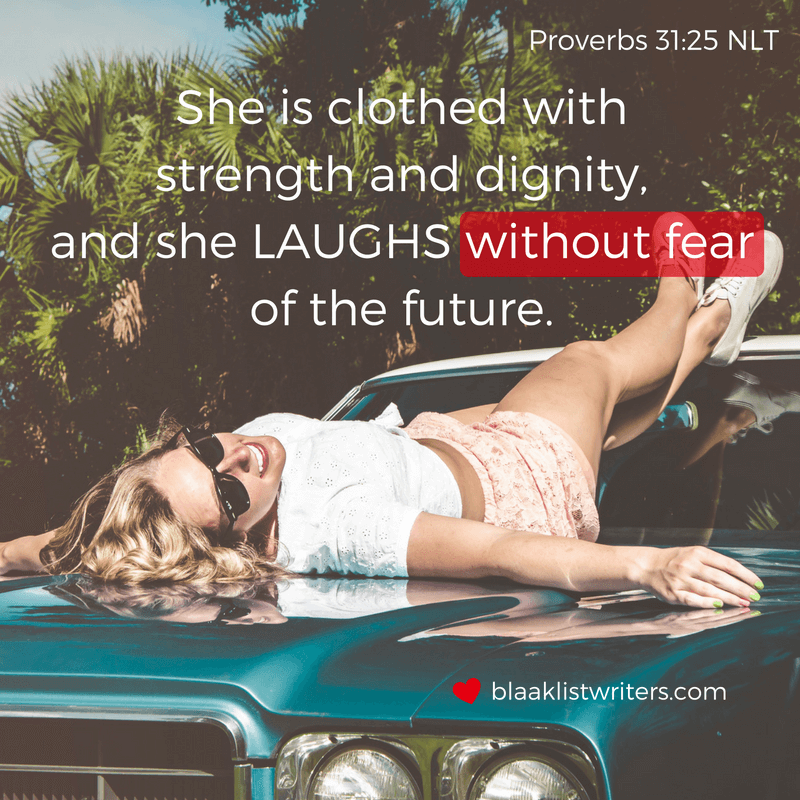 BTW―just in case you are stressing about how on earth you are going to become this Proverbs 31 Mom… just relax! Remember yesterday? Today, I choose to also be a PROVERBS 31 MOM! https://i0.wp.com/blaaklistwriters.com/wp-content/uploads/2016/10/Day-4-Wardrobe.png?fit=560%2C315 315 560 Shauna Blaak http://blaaklistwriters.com/wp-content/uploads/2016/08/logo-really-long-2-1-300x75.jpg Shauna Blaak2016-10-04 12:15:182016-10-04 14:54:18Day 4: Girl, You'd Better Get Dressed!